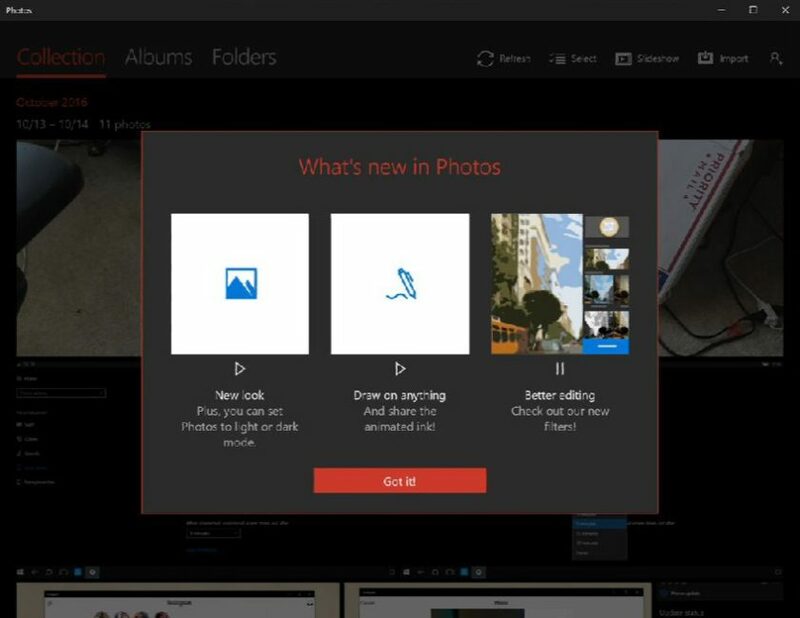 Windows 10 Photos app build 1017 now available for Fast Ring insider members. The latest update brings pen and inking support to the Photos app. Currently, PC users are getting new features. The Photo app now support new draw on anything feature and new filters. With the draw feature, touch enable devices with pen support, can draw on the photos for notes or just fun. Users can also save the image with the animated ink. Now there is new options for marker, pen, pencil and various colors. The new filters in Photos app include Sauna, Neo, Icarus, Zeke and more. Filter intensity can be adjusted with a slider as well. In the coming weeks, Microsoft will release the update to Slow Ring and Release Preview, before releasing to end users. Light or Dark Mode Support.